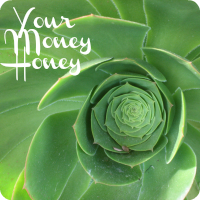 The actions that you take on a daily and weekly basis, your practices, support your ability to manifest money. As you increase your personal power through the choices you make each day, you come to find you own rhythm of what works for you and when. Your financial practices are especially important in opening your money flow. Your business will benefit from the personal and financial practices that you implement AND enjoy! Name your fears about having a regular financial practice so you can find your groove and make it fun. There are no rules, just regularity. The amount of money you have inflowing and outflowing in your life is a reflection of your openness to receive and give love. If we try to control money, we stifle its flow, just as we stifle a person if we try to maintain control of them ‘with love’. We, as people, can not grow to our full potential when we are controlled, just as money becomes limited when we use it to control our sense of security. You CAN have a divine relationship with money. It is a relationship that is not based on fear, it is based on gratitude, love and trust. It requires an equal exchange: to be given with love and to be received with love. As a result, this means that we can not control HOW it comes to us, or EXPECT to hold onto it. Underlying this relationship are your beliefs about love, or money…. Do you believe you have to earn love? How much love can you let into your life? Do you trust that you will be provided for? Do you believe there is unlimited love available to you? Is it fun for you to earn money? Or is it fun for you to spend it? Or both? Do you appreciate both your income AND your expenses equally? Your ‘numbers’ – or money in the bank – are essentially the result of your income and your expenses, or assets (your capital) and liabilities (your debts). If you focus on your ‘numbers’ alone, you become controlled by them. If you avoid your ‘numbers’ you are also controlled by them. Or, if you look at your income AND your expenses with gratitude, you start to tap into your money flow. You no longer control how it comes in or how it goes out. When you are in flow, just as you flow with your soul gifts in your business, you become like a magnet for abundance. Listen to the Week 10 Audio [19:52]. 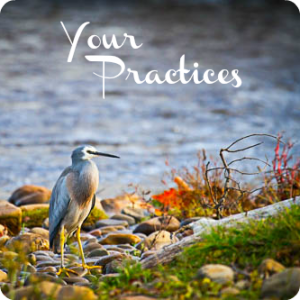 The key themes for this week are Constitution, Resources, Manifestation, Practices. Download the Four Power Indicators PDF and the Sacred Money Practices PDF. Watch the Creator Types + Money Flow video [16:08]. Continue with your launch preparation, nurturing your leads and practising your sacred sales conversations and check in with your business deva for guidance as you go.